The finale to The Ascendance Trilogy has been named and given a face -- or a cover rather. 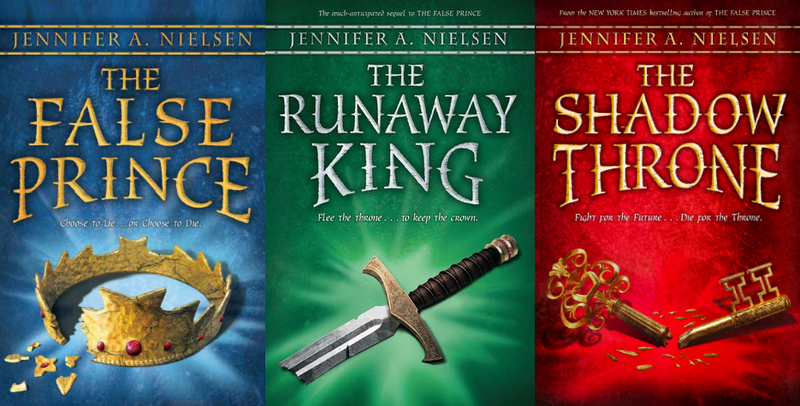 Jennifer A. Nielsen revealed on her official blog the fantastic red schemed cover of Ascendance Trilogy book 3 which is entitled The Shadow Throne. No official plot has been released so far, and we still have to wait until next year to get our hands on it and finally finish this fantastic trilogy. I do hope this closing chapter to the series lives up to the expectation set by The False Prince and The Runaway King. I am certainly crossing my fingers on that and trusting Jennifer A. Nielsen on doing right what she does best. 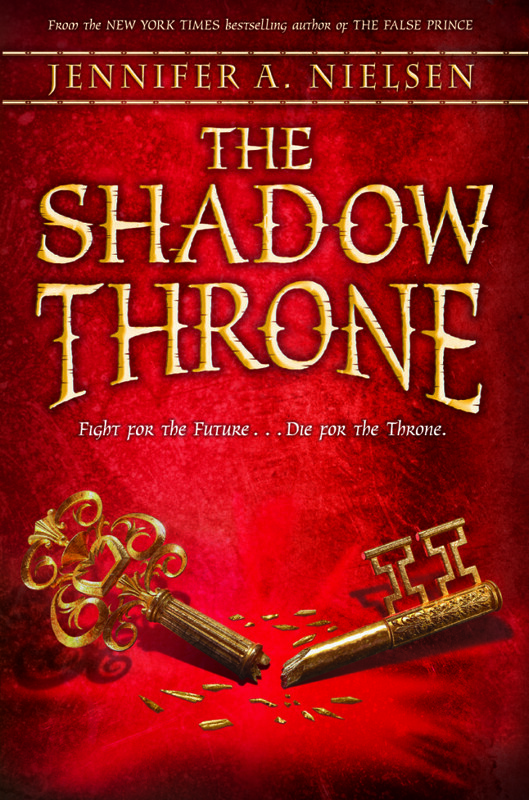 Isn't this cover for The Shadow Throne by Jennifer Nielsen fantastic? Fight for the Future... Die for the Throne. War is coming! I LOVE THE COVER AND THE TITLE. I CAN'T WAIT FOR THE BOOK TO COME OUT! EEEPPP I'M SOOOO EXCITED.I really hope Imogen ends up with Jaron. I mean I know Amarinda is a very good person and all but.... well its Mrs.Jennifer's book so it's up to her.At any rate I'M SOOOO EXCITED!!! !